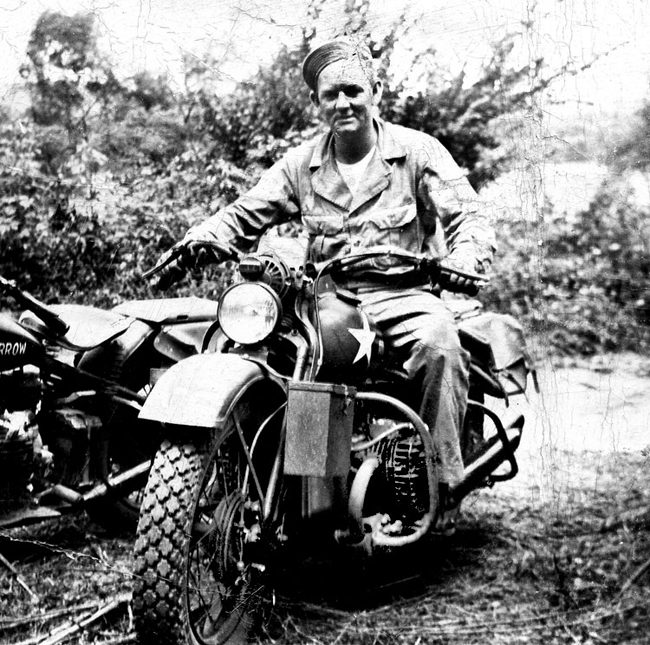 During the first half of WWII, BMW produced the R71 motorcycle for the German Wehrmact, while Harley-Davidson produced the WLA for the US Army. 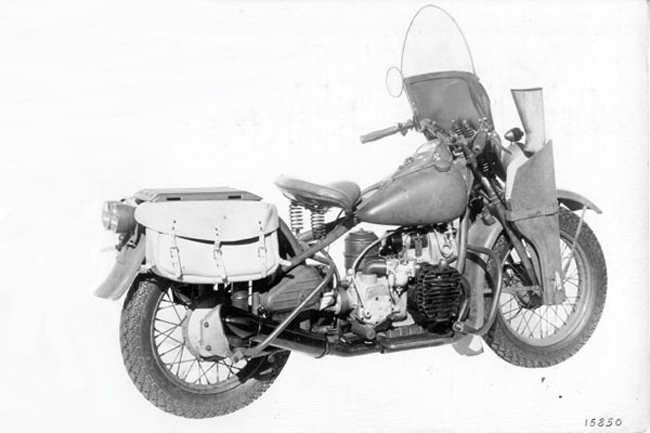 Both motorcycles used side-valve air-cooled twin cylinder engines, but the R71 had a couple of distinct design differences when compared to the WLA. 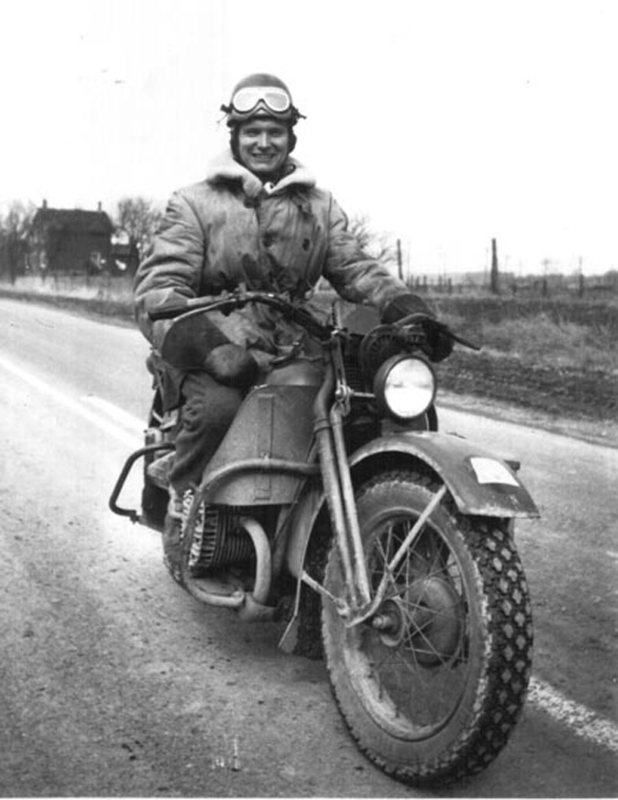 First of all, it used an enclosed shaft, instead of an exposed chain, to drive the rear wheel. Besides keeping out dirt and debris, shaft drives also do not need constant adjustment nor do the wear out as quickly as a chain. This results in a machine that is much easier to maintain and more reliable, something that is very important for an army on the move. 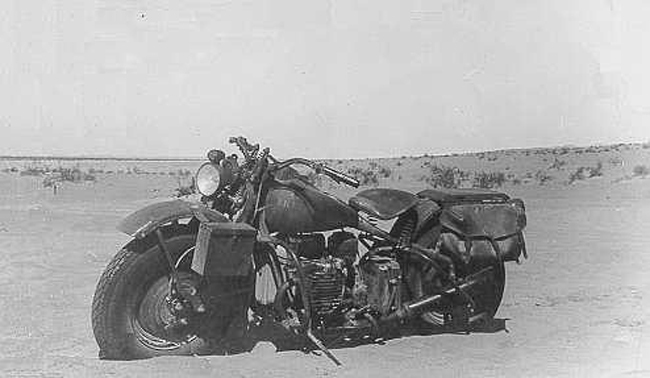 The R71 also had opposed cylinders which provided better cooling since both cylinders stuck out of the sides of the engine versus the WLA's 45-degree V-twin which had trouble cooling it's rear cylinder. Besides the flat-twin engine and shaft drive, the XA had many other improvements over the WLA. It used a foot operated gearshift and hand clutch instead of the traditional handshift. This allowed the rider to keep both hands on the handlebars at all times. 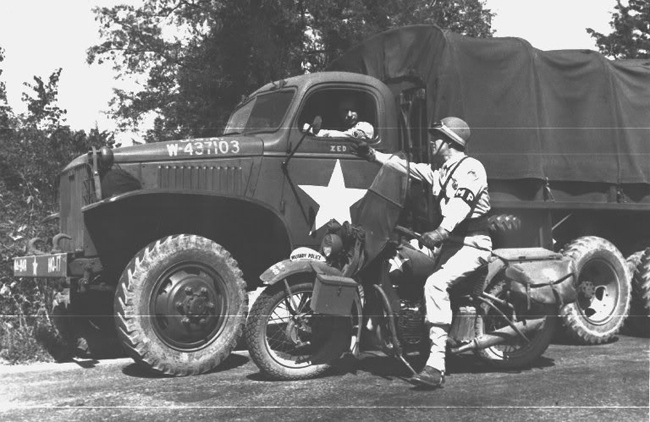 The XA also used a 4-speed gear box, had larger 4.1 gallon fuel tanks, a larger capacity battery, a radio shielded ignition system and an air cleaner mounted between the cylinders for better protection. 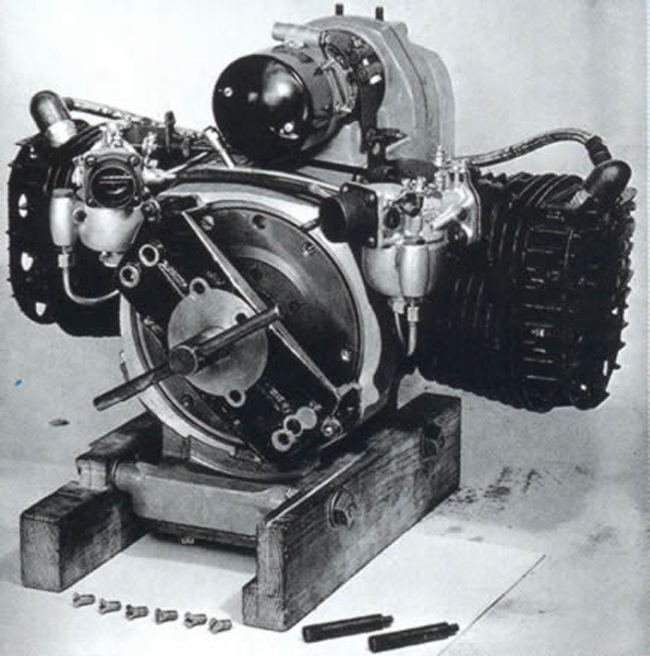 The improved cooling of the flat-twin engine allowed the XA to run 100 degrees cooler than the WLA and the lower center of gravity made it easier to handle. 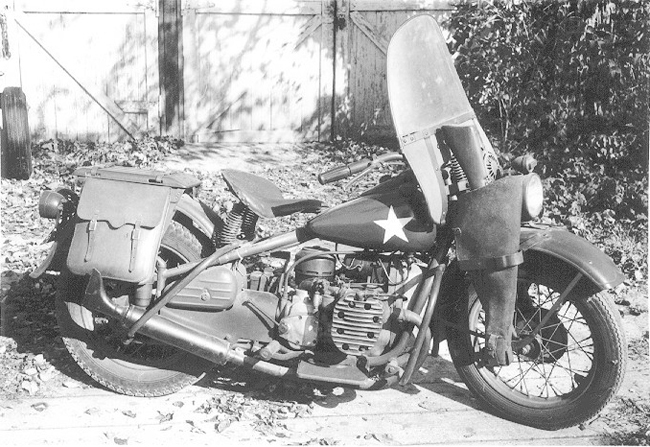 Originally the XA was designed with a springer front end, but that was replaced with Harley's first telescopic fork in 1943. 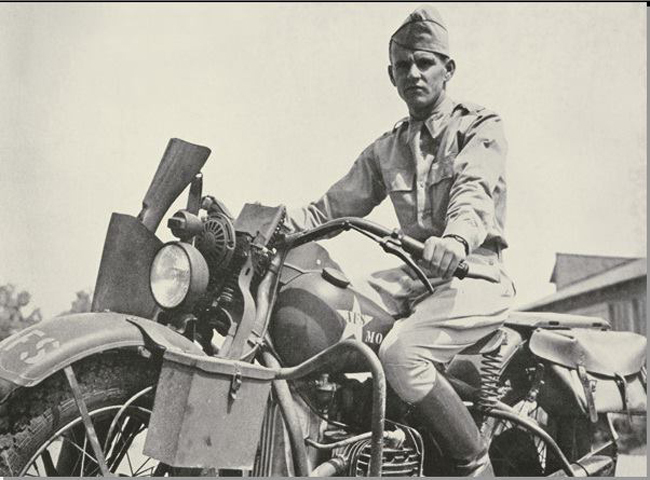 Harley-Davidson produced 1,011 XA's for the US Army for testing purposes, but after testing both the XA and Indian's 841, the Army decided to just buy more WLA's. Several other projects were proposed for the XA motor, including a 1,000 lbs mini Jeep called a Peep, a blower-cooled version used to power a tank generator and a new Model K servicar. 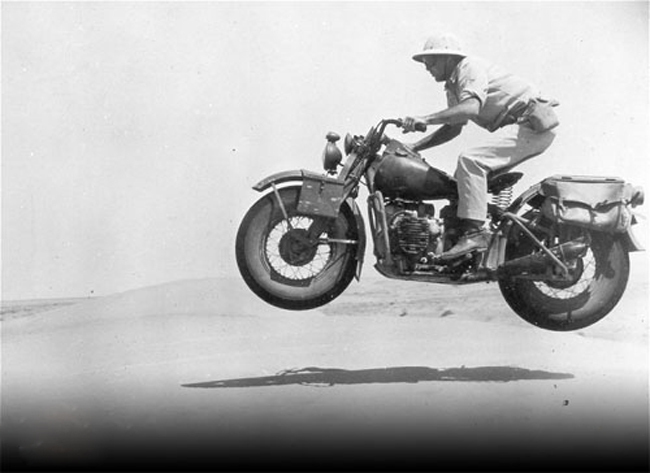 In the end, the XA engine was not used for any of those projects and Harley-Davidson went back to focusing on 45-degree V-twin motors.